Need a code? Use SAVE5 to save $5! 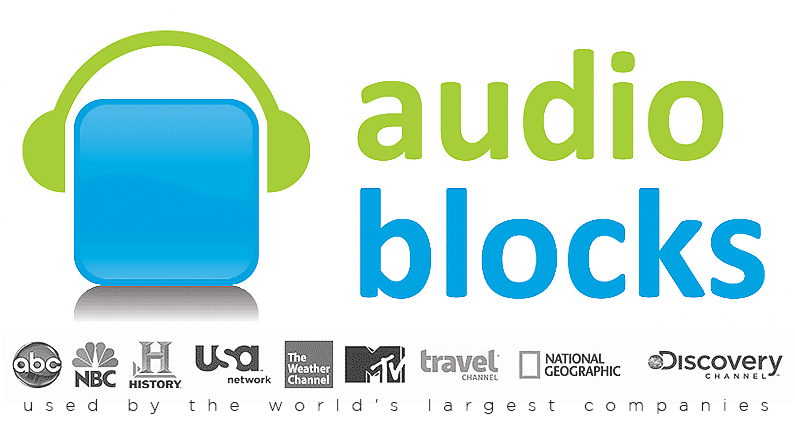 When you click "Submit", you will purchase a subscription to AudioBlocks. Having trouble? Click here to email us and we’ll fix it! Or call 612-605-8843. Question or need before signing up? Let us know! Be sure you have read the rules of commercial demos before beginning. Edit takes a bit when you record. Particularly, delete things you know you won’t be using later, such as conversations between a talent and an engineer. Make sure you make the script easy to find and access later when you are creating your demo clips. If you have several different scripts recorded, you should save them all in one project. Then, when you begin editing, put all the takes from one script you want to experiment with into a single project. Initially, you should probably get all your takes onto one track with the project, then duplicate that track. Name one of the duplicate tracks something like “source takes from script #1” and name the other track “first edits”, or “edit #1” or simply “#1”. Then do NOT edit the track named “source…” ONLY edit the copy of that track. As you make more edits, you may simply want to duplicate the “first edits” track, and name the duplicate “second edits” and make further edits to that. Realize you have incorporated an error accidentally at some point. If you are creating more than one clip, work on each clip just enough to get a sense of what is good and what is problematic about each. In other words, get an overview before working on any one clip. Make notes about such things as initial length, ease of editing to shorter lengths, style. Do NOT try to adjust or fix things before deciding what you probably use. You want to limit the amount of work, and avoid working on something that you end up not using. Audition for North American Voiceover Work Online | School of Voiceover on How Much Should You Charge? The Great Rate Controversy.